So what is the difference between the various safety ratings? Editor’s Note: The sponsored post if courtesy of Art’s Cyclery. Considering riding with a spine/back protector? Here are two great options: the CamelBak Kudu 10 and the Alpinestars Paragon vest. Both provide a CE-rated stamp of approval, but which one is best for you? Watch the video to find out. 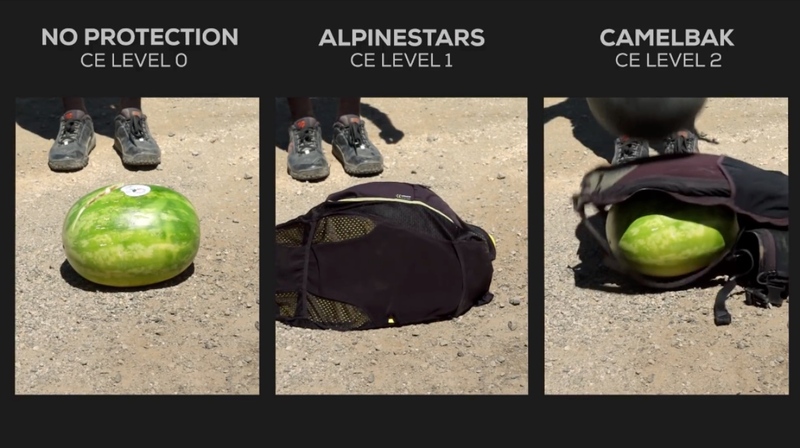 CE level 1 protection: A pad is rated at CE level 1 when the maximum transmitted force is below 18 kN, and no single value exceeds 24 kN many slim back protectors on the market carry a CE-1 safety certification. CE level 2 protection: A pad is rated at CE level 2 when the maximum transmitted force is below 9 kN, and no single value exceeds 12 kN. Many thick back protectors on the market carry a CE-2 safety certification. Don’t end up like the watermelon on the left. Check out Art’s Cyclery to see a full line of packs and safety gear. 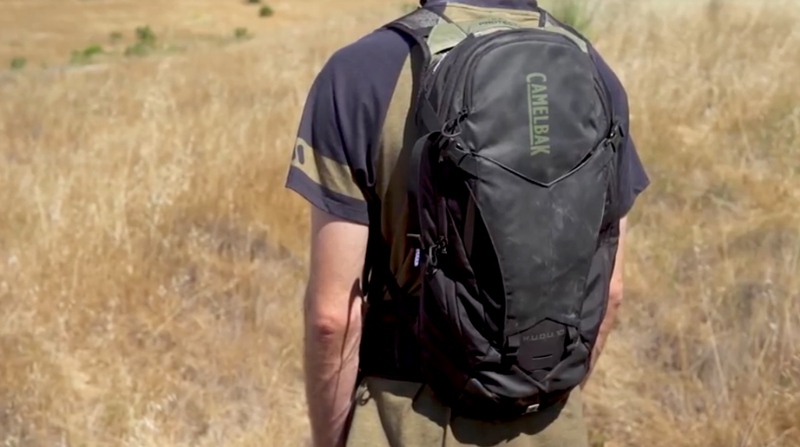 The CamelBak Kudu 10 hydration pack includes a back protector and tons of storage space. 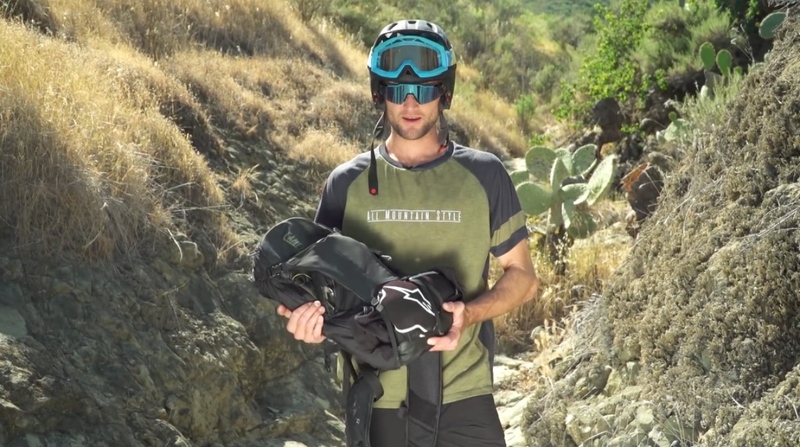 The Alpinestars Paragon vest protects — and provides storage space. I injured my c1-c4 vertebrate. Does the Camelback extend to your lower back? This is garbage, you don’t break your thoracic or lumbar spine because of a direct force. It is likely a result of an axial load or a flexion/distraction force – none of which are prevented with this. Hiya Michael, is their a product on the market that would help prevent the injuries you’re talking about? I don’t know very much about spine injuries, but I know over the years hucking jumps skiing and biking has done a number on my lower vertebra. Thanks and ride safe and happy everybody! We’re all in this together!